L0phtcrack 6: the old guard is back! 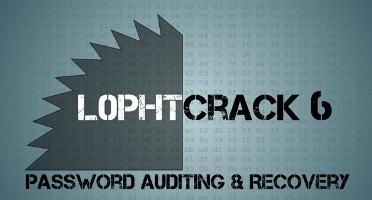 After more than three years since Symantec stopped the support and development of L0phtcrack the tool that provided a titanic opportunity for passwords auditing and recovery. Here comes yesterday the same team with the new version L0phtcrack 6. As the project rights being reacquired by the original authors from Symantec it was possible for them to continue developing this utility. In the last five years many things have been changed in the operating system security so they improved some features like the Support for x64 processors and the latest releases from Microsoft (Vista, XP and windows 7),Ubuntu and others. I used the LC4 and LC5 and they worked perfectly to recover lost password that are less than 14 characters so update your corporate password policy and make sure that you meet password security best practices.